I’d rather be single and not dating than be with a jerk who won’t dare meet my dad. Click this to read why my father’s “Yes” is important for me, and why I say “No” to immature men – my life-lesson on being a single woman and being a daughter. 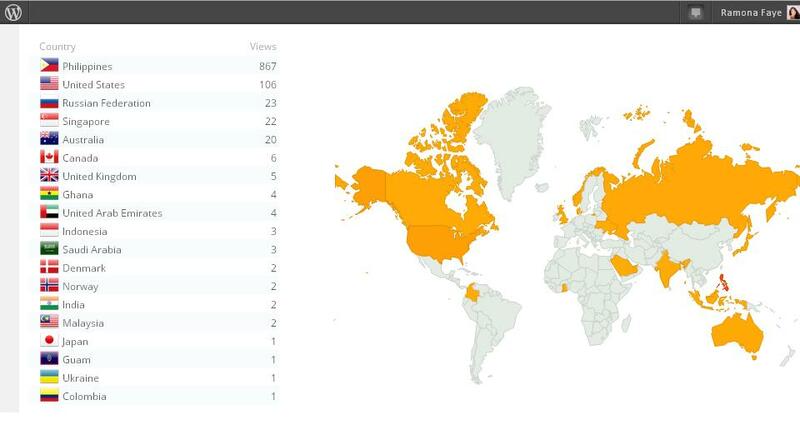 I really miss blogging! I’m an absentee in this blog for soooooo loooonngggg due to the adjustments that I had in my new chosen path plus the back-to-back long travels that I had. Coming back, I decided to officially change the web domain of my blog site. As announced last year, in my 100th blog post, I’ll be using my name Ram Alicarte as the official domain. (A faith goal checked for me!) 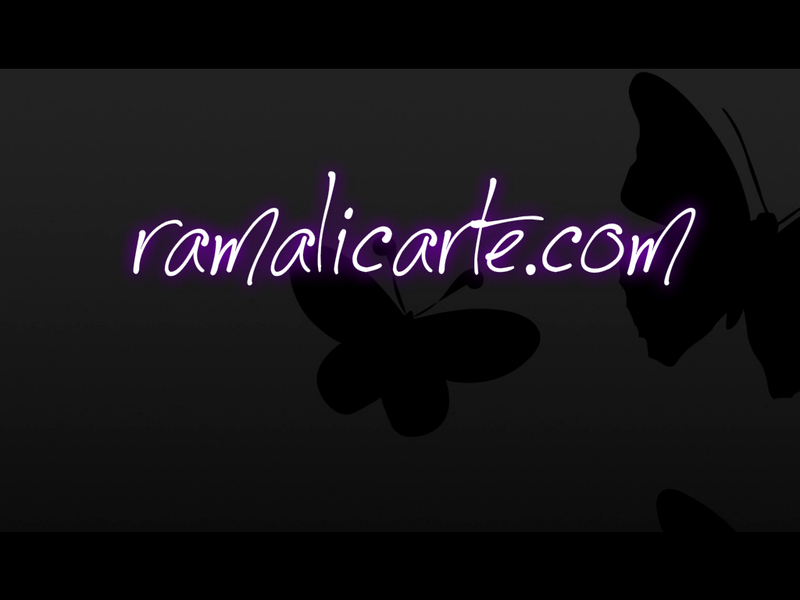 However, this domain ramalicarte.wordpress.com, will still be up, so my blog posts here will still be visible. 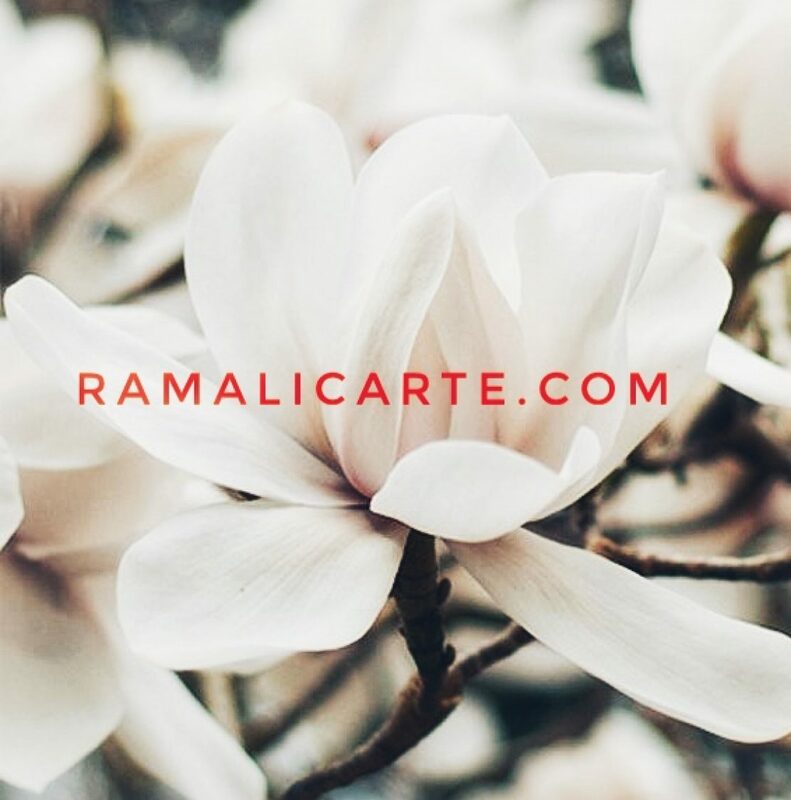 RamAlicarte.com is now officially running, and I would like to give all the credits to NurseHussein, a colleague and a good friend, who set up this blog site for me. (Thank you very much H!) Do visit his website for any health-related issues. Nurse Hussein.com is a trusted source (and friend too)! I believe this will be my last post in this domain. So to all my readers, many thanks for reading, sharing, commenting and liking my blog posts here (that has been a big inspiration for me to write more and to never stop writing). May you continue to read and share my Manna in my new domain. That Word. Those Acts. This Blog. Since this is my 100th blog post, allow me to share how my last Saturday (November 24, 2012) went great and was filled with wisdom. This is also my last blog post, so pardon me for making this quite lengthy. Let me start with Grounded and that WORD. One of the main points of Kuya Edrei’s preaching was “we didn’t choose Jesus, but He chose us”, and I strongly agree with him, for among the crowd who welcomed Him, Jesus was the one who chose Zacchaeus and not vice versa. Jesus did not said, “Zac, take your time and come down here” nor “Zac, I’ll wait for you at your house, meet me when you’re ready.” Jesus’ words were clear, “Come down, IMMEDIATELY.” There was an urgency in His words. Look what happened next, immediately Zac came down and obeyed Jesus, immediately He repented, immediately there was reconciliation, and immediately Jesus said that Zac was saved. See that? Salvation came in a span of hours for Zacchaeus! When God impressed that word on me, I can’t help but be on my knees during the worship. Why? Because it took me many years before I came down and fully obeyed Him. If only, I came down with my pride and humbled myself immediately the very first time I heard Him call then I had lesser heartaches, lesser sins, lesser regrets, lesser sufferings, etc., etc. 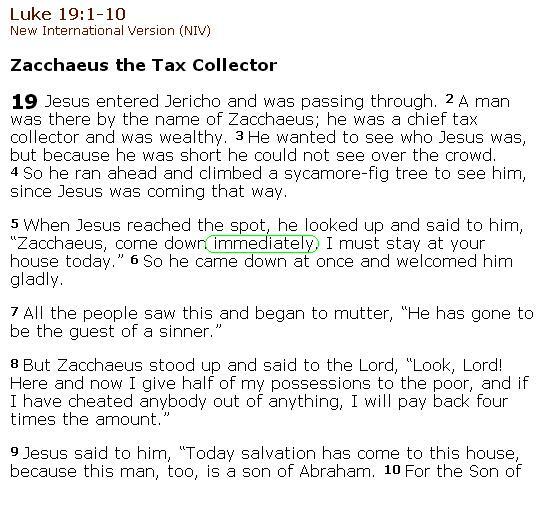 Jesus demands Zacchaeus obedience. He didn’t asked Zac to repent or give back what he had taken to the people; God didn’t demand sacrifices, for He demands obedience better than sacrifice. Furthermore, late obedience is still disobedience. See that word IMMEDIATELY? I believe Jesus means it. Is Jesus calling you? If Yes, see the urgency in His words. Respond immediately! Breaking Dawn Part II and those ACTIONS. While watching the last installment of Stephenie Meyers’ Twilight Saga, Breaking Dawn Part II, two particular actions did caught my attention and created a pinch on my heart. I’ve read all the books (twice), so I know the story fully well, but when I saw it on the big screen, these two actions create an impact on my thoughts and even emotions. First act: Dr. Carlisle Cullen, a dignified, law-abiding, and peace-loving vampire attacked the Volturi. He did it out of what? Out of love and protection for her adopted daughter, Alice. I think that scene really reached me because I grew up fatherless, but then I realized that God is the same (not a vampire), but He would do the same for all of His children. Carlisle risked losing his eternal life as a vampire just to save his vampire daughter; God gave up His son’s life just to save us. I may not have a father here on earth who would risk his life just to save me, but I know one man already gave up His life just for me to be saved, and with that, I have an eternal life to praise and thank Him. 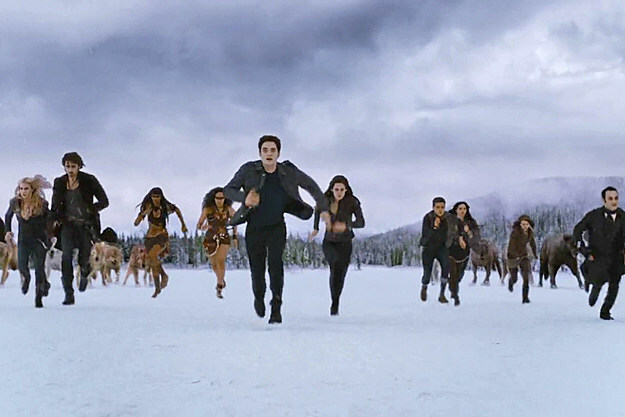 Second act: Edward and Emmett Cullen attacked the Volturi in revenge of their father’s life. I saw the pain, the hurt, and the anger in the Cullen brothers as they fight. With that act, I started to wonder if I can do the same for my Father. I remember our Grounded Leaders Summit wherein we had a basketball game and the other team just stayed on their court defending their net; they never won, and they got tired defending. In the end, we concluded that with our faith, we must also learn how to attack because we can never win the world if we just stay on our comfort zones. How can we reach out the world to Christ when we just stay at the corners of our church? Let me go back to Zacchaeus who was bold enough to seek Christ and obey Him as His follower. Zac was not ashamed in doing the right things; he was not ashamed of what others may tell about him with his new identity in Christ. How about you? What will you do if someone offended Jesus in your face? With your life in Christ, how bold you are and how daring you can be? As I reflect and look back, I realized that a big part of what I did and doing since childhood until now is sharing His words. I was part of the Bible class since 3-1/2 years old, been invited to speak in different youth camps and conferences since 15, and now in just months of blogging, it reached this far! I remember when I was still a prideful and overachiever little girl, I used to say, “I will be great and be part of the History”. Now that God humbled me, I say, I may not be like Paul who was used by God to write His words and became part of world History, but I believe with this gift, God will use me in sharing HIS STORY. So, why shall I stop writing then? Well, this is just the last blog post in this website. The site is not up yet, but I’ll be promoting this SOON when it’s running already.